Music is possibly the greatest form of escapism that we possess. It allows us a brief release from whatever reality we are confronted with, and transports us to wherever it may care to take us. So while a bitter winter wind and freezing fog descends on Bristol outside, inside The Lantern tonight the freezing temperatures are all forgotten as we bask in the warm glow of The Barr Brothers’ rich American folk sound, like fireflies drawn to a Nashville camp fire. Fire really is a reoccurring theme in the Barr’s story for it was a chance fire in 2004, at a gig (when they were then known as The Slips), that brought the then Boston based brothers (Andrew & Brad) to their current home of Montreal. 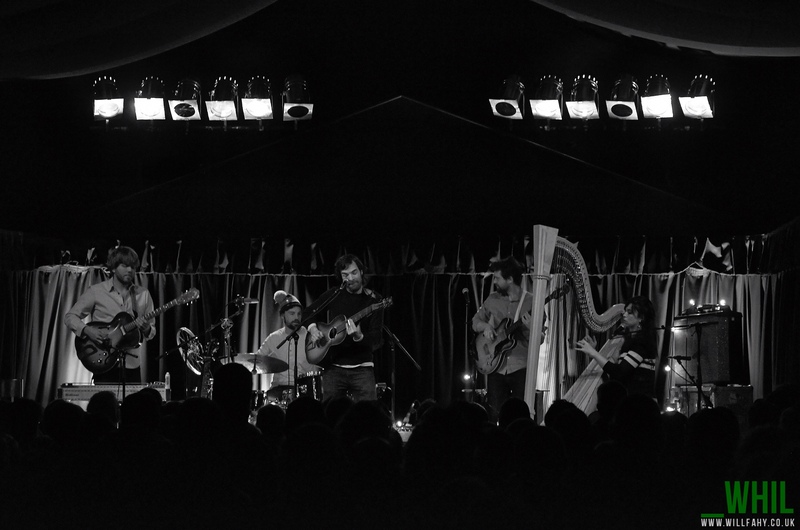 On the first night of their Eurpoean tour to promote current album Sleeping Operator, which came out in October 2014, they have come to charm us with their impressive range of talented multi-instrumentalists. To be honest before a note has even been played tonight there is already a rare sense of anticipation of just which instruments, and what combinations, we are to be treated to, as the stage is littered with beautiful vintage guitars, exotic looking lap guitars, double bass and of course the imposing sight of Sarah Page’s harp which towers over the stage in all it ethereal beauty. It’s a unique setup and affords them a real variety to their sound, although how they got all this across the pond seems a legitimate feat in itself. Musically the band combine the authentically country feel of The Low Anthem but there is also a hint of Dylan at his most surrealist in the rhyme and canter of their lyrics/melodies at points and even Sigur Rós (in their more experimental moments) thrown in too for good measure. This variety is on full show throughout with highlights ranging from ‘Beggar in The Morning’ – a peacefully melodic tune with a hints of more modern influences, to ‘Lord I Just Can’t Keep From Crying’ – a delta jam which they learned from Blind Willie Johnson, and ‘Cloud’ – which sounds like the soundtrack for the last drunken dance at the bar before time is called, there is a real assortment of flavours on offer. 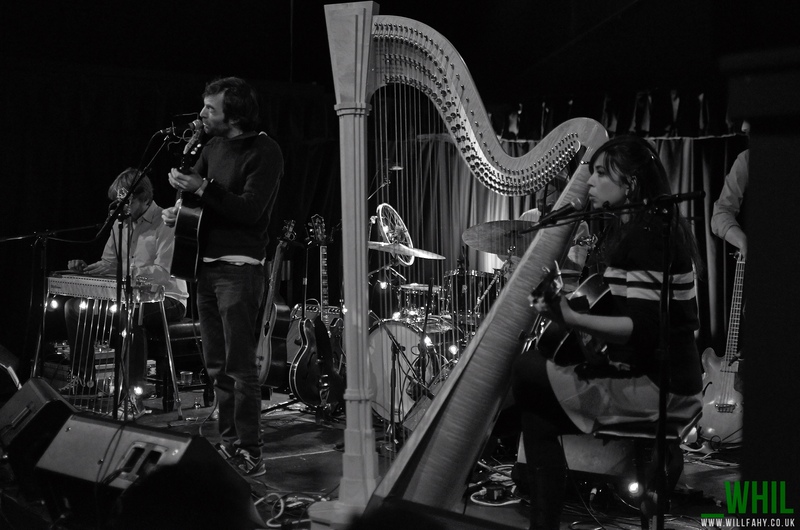 True to their country roots, but with just enough modern twists to keep it from ever becoming stale, The Barr Brothers offer something both unique and striking. Tagged bristol, britol, colston hall, harp, january, Kevin Mcgough, the barr brothers, the fix, the fix magazine, the lantern, will fahy. Bookmark the permalink.